Impacting Lives with STEM: Morgan L.
Morgan is a junior in college with a passion for Women’s Health. She’s majoring in Biology and minoring in Psychology, on a premed track. Not only is Morgan passionate about science and research, but she also loves working with people – both throughout her research and with patients in clinical settings. She uses her STEM field to make connections with others and help people through the things they may be struggling with. For Morgan, her passion started in middle and high school, but she’s continued to feed it throughout college. These experiences have shown her that she can use her passion for science to make a difference in people’s lives. This is such an exciting lesson, because studies have shown that one of the main reasons girls veer away from STEM fields is that they want more social careers or want to do something that they can see how it makes a difference in the world. All careers have the potential to help people, but Morgan was able to personally discover this impact in a unique way through her externships and research experiences. Morgan is dedicated to pursuing her dreams, and she knows what will help her personally get there. Because of this, she makes an effort to herself feel strong and healthy every day. “Staying on top of everything really makes me feel like I can conquer my day. I enjoy starting my day reading the stream of healthcare news in my twitter feed. I also think staying healthy is super important and make an effort to eat well and go to the gym (endorphins!). Staying happy and healthy and finding inspiration in my everyday life is key. If I ever need a burst of inspiration I will also read doctor memoirs (my life goal is to write a memoir about being a fertility doctor! ).” She focuses on feeling strong and setting herself up for success – both in her healthy actions like getting exercise and how she thinks. I love how she starts her morning with something she’s excited about and continues to find those moments of inspiration throughout the day. We’re so grateful to Morgan for being one of those role models for our program! If you’d like to learn more about careers in medicine, check out letters from other role models like Alyssa Cole here. You might also be interested in the letters from infection specialists and virologists! Has a book or movie ever inspired you? What were you inspired by? What makes a woman inspirational? If you could try out any career in the world, like during an externship, what would it be? 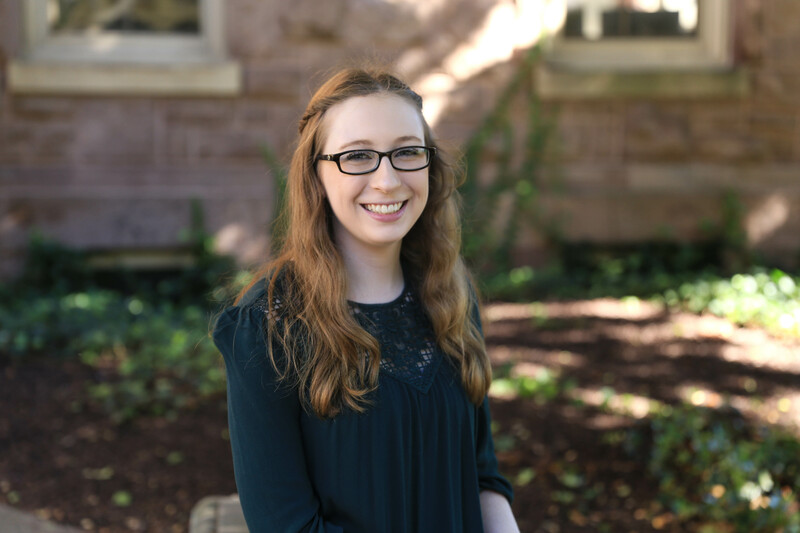 Challenging Yourself to Mastery Experiences: Rachel T.
As a senior majoring in chemical engineering, Rachel throws herself into challenging experiences. She isn’t afraid to get involved and to try new things. Whether it’s summer programs or an honors thesis, she’s sought out opportunities to learn and grow. Rachel is an excellent role model for seeking out Mastery Experiences. Mastery Experiences are hands-on ways of learning that you’re incredibly capable at a task or subject. Solving a hard puzzle, doing well at the science fair, or challenging yourself in a summer camp program can all be Mastery Experiences. If you succeed at a challenging project or do something that you were a little nervous about, this helps you to realize you can do it. It makes you feel smarter, stronger, braver, and ready to take on more challenges. These experiences are the best way to increase self-efficacy, which is your belief about your own competence. Role models and encouraging words help, but doing it yourself will really give you that feeling of being capable. Rachel did STEM programs like you do by participating in Curiosity! These programs set up an environment where you can be challenged, but you also learn that it’s okay to mess up. We learn from mistakes, too. Developing this confidence and persistence took some practice, though. We need to have experiences where we’re challenged, in order to learn that we can handle challenges and that our ideas are amazing and important. A lot of people struggle with this when they get to college or have to handle a level of difficulty that they’re not used to. It’s easy to doubt yourself or wonder if you’ll be able to keep up. Luckily, these concerns are totally normal and can be overcome by continuing to take on healthy challenges and not being afraid to ask for support to help you succeed. Since I’ve met Rachel, I’ve always seen her as put-together, bright, funny, and ready to change the world. But it’s important to know that even she has had to learn how capable she is. She had to seek those mastery experiences and overcome challenges, too. Today, Rachel is getting ready to graduate and looking forward to furthering her education. As she moves forward in her own future, she also continues to think about what she hopes for the future of women in STEM. Rachel is a dedicated student and also loves taking opportunities to mentor younger students – from elementary schoolers up through her peers in college. She says, “I hope that I can help show younger girls that they are capable, that they can grow up to be whoever they want, and how to gain the confidence to be themselves.” Thank you so much for sharing that inspiration with our students, Rachel! If you’d like to learn more about engineers, check out the letters on our Role Models page! We have eight engineers featured from around the world and in many different disciplines. What was something challenging you’ve tried? Why is it important to feel like you can succeed at challenging tasks? How does asking questions show strength? Why is it important? Thinking Creatively and Making a Difference: Simone K.
Simone is a sophomore majoring in Electrical and Computer Engineering and Studio Art. She’s a scientist, an artist, and an inventor, and she uses her unique creativity and problem-solving techniques every day. Simone was recently featured in this awesome video that explains the process a little more! Not only is STEM helping Simone to change people’s lives and give people new forms of independence, it’s also helping her to think differently. (You might remember how this was true for one of our other writers, Kamal, too!) Simone is constantly challenging herself to do really hard things and solve problems that don’t have clear answers. Of course, when we try challenging things, we don’t always succeed on the first try. But Simone notes, “I am grateful for each and every mess up for teaching and strengthening me.” She learns from each thing that doesn’t work. Whether she’s trying to solve a global problem or learning the best way to study or do her homework, sometimes she makes mistakes, but those mistakes allow her to find out what doesn’t work and why. That’s valuable information. It helps us to do better the next time. “One of the most worthwhile decisions I made in college was joining a club called women in computing. In my experiences in the club, I have met some of the strongest and most inspiring women. We talk about our struggles in the stem field, but with that, we support one another. Inside and outside of the club, I always know that I can depend on the women in computing, and that definitely empowers me. It’s a really good feeling to know that there are others in the same position as you who are willing to help.” They help her to feel strong. We’re excited to see where Simone goes! Right now, she’s still deciding what her career will look like. People rarely do just one thing their entire life, and we all have so many different interests. Currently, she’s deciding how she’ll balance those passions. She says, “For now, I’m focused on my learning and growing as a computer engineer. I hope to work even harder and really narrow my interests. I guess my long-term goal is about finding myself. With a double major in two areas that are completely different, I’d like to find a way to combine my interests to find something that I really love,” while thinking about where she thrives and what she wants to get better at. She enjoys the strong community of women in STEM that she is a member of and encourages everyone to pursue their interests. She also adds that women should be “full acknowledged for their ideas” and wants to see that recognition continue to grow. What environment do you study best in? How does technology impact your life? Can you think of a time where thinking about a problem differently helped you to solve it? If you could invent anything, what would you create or what problem would your creation solve? Goal Orientations and Motivation: Rachel P.
Rachel P. was on our initial team for testing lab activities for Curiosity Science Program. She’s a double-STEM major, a poetry-lover, and an actress in college theatre. Rachel is a sophomore, studying Biochemistry and Molecular Genetics. Molecular Genetics involves studying the genes that make up who we are at a molecular level. This helps us understand what gives each of us the traits we have and better explain genetic variation. Genetic variation can include everything from why your hair is a different color than your sister’s to how chromosomal differences like Down Syndrome occur. For Rachel, infectious diseases are especially interesting. By thinking about learning in this way, Rachel is demonstrating what is called a Mastery Goal Orientation. This is a type of motivation that is more internal, not based on what other people think or any external praise. You’re only competing with yourself, and you’re motivated by wanting to understand the subject and become as good at it as you can. For people with Mastery Goal Orientations, challenges are motivating and exciting – because you’ll get to improve and learn something new. You don’t learn as much by doing easy tasks; you learn through being challenged and having to work hard to figure out the answer. When you’re challenged, you’re discovering the answers to questions that interest you. This perspective is so much better for learning than a Performance Goal Orientation, where the fear of failure or desire for easy praise stops you from trying something challenging. Mastery Goal Orientations are also associated with higher achievement in classes than Performance Goal Orientations. Rachel was inspired by an experience that allowed her to challenge herself and learn more. She says that for her, her moment of inspiration is easy to place. When we pay attention to how we think others will view us, we forget about our own goals. We let other people’s potential opinions matter more than our own learning. Realistically, though, everyone messes up. There’s no shame in making mistakes. It’s how progress happens and how some of the yummiest inventions (popsicles and chocolate chip cookies, anyone?) were created. Mistakes also gave us Penicillin – a vital antibiotic – and pacemakers. These inventions save lives every day, and they never would have happened if their inventors were scared to make mistakes. We’re proud of all of our students for finding their voices and discovering their passions. We hope you share them loudly and boldly with the world. Thank you for your answers, Rachel! If you’d like to learn more about careers involving infectious diseases, check out the letters from Lynda Caine, Patti Caine, and Susana López on our role model page. We also have letters from physicians and chemists which may be applicable to your interests! What was a time you failed at something? (While you were learning to ride a bike, doing a new type of math for the first time, learning to read, tying your shoes, learning to ski, etc.) How did that experience help you to do better the next time? Where do you feel confident speaking up? Why? What questions do you want to discover the answers to? Persisting and Asking for Help: Mae-Lynn H.
Sometimes we have to learn from our mistakes to make progress. Mae-Lynn remembers feeling really frustrated during her first chemical engineering course. Fortunately, she decided to persist through the challenge and ask for help. She didn’t get it immediately, but this doesn’t mean she’s not a talented engineer or won’t be successful. It just means she needed to put in some extra effort. Hard work is essential to success. For Mae-Lynn, she knows that asking for help and using her resources to find the support she needs is part of the accomplishment. She feels motivated “knowing that one day, I can be able to make a difference in the world because of all the hard work I am doing now” and “knowing that when I work hard and ask for help when I need it, I can accomplish all that I’ve set out to do. And then obviously seeing the results of my hard work” is also encouraging. Mae-Lynn encourages all students to remember that gender and other differences shouldn’t make a difference in how we perceive each other or our abilities. For Mae-Lynn, she was able to ask for help from her peers and teaching assistant. Study sessions and review activities are a great resource. There are lots of ways to get help such as asking more questions in class, staying in class after school or during lunch, or contacting a teacher through email to tell them if you need to schedule a time to get help. The most important part is you ask if you need assistance. Sometimes, a friend or teacher can teach us a new way of studying or explain a concept in a way we hadn’t seen it before. Other times, we can be that friend for someone else. Mae-Lynn has played both roles throughout her academic career, and I know she’s benefited from help and others have benefited from hers. Thank you for sharing your perspective, Mae-Lynn! If you’d like to read more about professionals in engineering careers, check out our role model page. What are you good at helping a friend with? What challenges have you persisted through? What was hard to learn? What are your strengths? Name a strength of your friends in the room. Persistence and Passion for Learning: Srishti S.
Eventually, her interests changed a little and expanded greatly, as they frequently do when we’re growing up. One of my favorite things about Srishti is that she is constantly seeking to learn and understand. I admire the way that she always wants to learn more and is willing to try new things. She’s curious about the world around her. Sometimes when we’re growing up, we think that adults know everything or that if we’re really good at something, we know everything about it. That’s not true, though. People who are really good at their subject area are the people who are always ready to learn more. Sometimes it feels frustrating when we don’t understand a problem or subject area immediately. Often, we think that if we can’t do the math problem on our first try or if the word is hard too hard, it means we’re not good at it. We start to think we’re not smart enough. Srishti reminds me that sometimes we have to work hard at new things, though. It’s also never too late to learn something new. In fact, just a couple of years ago – after graduating high school – Srishti tried horseback riding. Not only did Srishti try something that she wasn’t sure she’d be good at, she also quite literally got back on the horse when she fell off. She kept trying, even when it was difficult or scary. Srishti has learned this lesson so many times, and she reminds me that it’s one adults need, too. We all have to practice persevering and be willing to learn from our experiences and the experiences of others that we admire. When Srishti was in 8th grade, her algebra teacher told her class a personal story about her own family. Mrs. Kilduff been going through a difficult time and had persevered through a custody battle. She came into class one day, holding a new $10 bill. All of those things were only possible for Mrs. Kilduff because she persevered! And now those lessons inspire her students. Her story reminds me that even when we don’t feel like things are going our way, we’re still valuable. Putting in extra effort or struggling doesn’t diminish that. We will always be valuable and we always have the potential to do amazing things. With these huge goals, it could be easy to become discouraged. Srishti knows that she’s going to have to put in a lot of work to make these things happen, but it’s worth it because she’s passionate about what she does. I love the way she focuses on her love of learning and the people who have all been down this path before. I can’t wait to see what she’ll do in the coming years, and I’m sure we’ll all be reading about her research in the news soon! Finally, we asked Srishti what she’d change about being a woman in STEM and the role of women in our society in general. How we define our role in our lives and in our own story is such a huge question. There are so many options for women today, but Srishti is right that the options do come with their own traps and difficulties. I love the way she shared her own story and inspiration in all of these answers. I know I have a lot to think about! Thank you for sharing, Srishti! If you’d like to read more about professionals in fields like Srishti’s, check out our letters on our role models page. What do we need to persist at? What’s hard at first? Can mistakes help us learn? What does success mean to you? Does it look different for your friends? Mentorship and Community: Olivia G.
For Olivia, she’s always felt encouraged to pursue what she’s passionate about, and it’s her relationships with people that continue to push her further. This can be hard to accomplish for young women, if we don’t feel like we can relate to the people we see in our ideal profession. Additionally, although there are some awesome men I know I can definitely relate to, we don’t always have the opportunities to make those connections. Unofficial mentorship opportunities frequently crop up for young men, in the form of golf, poker nights, after-work social events, gym trips, etc. that women aren’t always invited to. If the opportunities aren’t finding us or we feel excluded from potential mentorships, how do we find our own mentors? Luckily, there are organizations and systems that exist. At an early stage, while discovering what you’re interested in, we recommend reading the letters we have on our website or writing us an email if you want to hear from a STEM career that’s not represented. In many cases, we can also help pair you with a STEM mentor and activities to attend in your area. Trying out different activities and meeting professionals is a fun way to explore your interests. At a higher level, you might even consider creating opportunities to find more mentors in your own community. A professor explained that when she began her career, a professor in a higher position created a panel of mentors for her. There were both men and women involved, and it created a place where she heard the kind of varied advice that other people might hear from colleagues at a social event. A huge thank you to Olivia for sharing her story and hopes for the future of STEM! To learn more about neuroscientists and other STEM professionals, check out letters on our Role Model page or send us an email! What does our brain do? What spaces do we feel strong in? What makes them special? Changing Perspectives and Finding Inspiration: Kamal B.
Kamal B. is a sophomore, studying Geology. After exploring options during her first semester, she found her niche and loves the way she’s able to have an impact through her field. She found her passions through “a geology class on climate change,” that she took during her first year at college. She “loved learning about the history of climate change on Earth,” and it inspired her to pursue this major. Geologists have to use a unique skill, where they view the world from a geocentric view rather than an anthropocentric perspective. That means keeping in mind that the Earth is way older than the history of humans. In fact, humans as we know them have probably been on the Earth for about 200,000 years – but Earth is over 4 billion years old! That’s a huge difference. Seeing the Earth from this view, where you recognize that its whole history has not revolved around humanity, can be a humbling and fascinating experience. It means knowing that there were big and powerful species before us (like dinosaurs!) and there will continue to be other important species. Our actions can impact the Earth in huge ways, but that doesn’t mean our history is Earth’s whole story. There’s a lot to learn from what came before us. Seeing things from other views can be hard, though. It takes a lot of practice – whether it’s in the lab or another setting in life. We have to practice checking our own bias every day. Bias in science can be dangerous. It can cause us to interpret data differently, if we’re expecting certain results. Sometimes it’s harmless. Did you see the dress picture that went viral in February 2015? Some people thought it looked blue and black and some people thought it looked white and gold, due to differences in color perception. However, if people were told it was black and blue (or if they were told it was white and gold) they were much more likely to see it as those colors than if they were not told which colors it was. This is called confirmation bias. We look for evidence that supports our beliefs. (Spoiler alert: the dress was actually black and blue. Personally, I usually see it as white and gold, though.) When you put that kind of logic into a lab setting, you can see how it can mess up our interpretation of data. Other times, bias isn’t as innocent as interpreting the color of a dress. Bias can hurt people and cause us to perpetuate stereotypes. Bias also affects the questions we ask. If we assume the world works a certain way or everyone has had the same experience as us, we won’t ask about anything that contradicts those ideas. That’s why it’s so important to both have diversity in STEM (like by including more women!) and to try to be conscious of the biases we have. Even if we practice those skills in the lab, though, sometimes we forget about them in everyday life. We forget to respect other people’s perspectives and to learn from each other. Other times we remember, but other people forget to do the same for us. It can feel really hurtful when other people don’t try to see things from your perspective or respect your ideas. Kamal has certainly felt like people don’t always see her view on the world. Not everyone has always understood her desire to study geology, especially as a female in the field. It’s something that she wishes would change, since she knows she’s just as intelligent as her male peers. Representation is improving for women in geology, though. As of 2014, one third of PhDs in physical sciences and science technologies were earned by women. We’re optimistic that the number will continue to climb up towards fifty percent in coming years. I love that she recognizes herself as one of those powerful, intelligent women and knows to look to her community when she needs a little push. Thank you for sharing your story, Kamal! To learn more about physical scientists, check out letters from professionals like Kayla Iacovino on our Role Model page. How do you practice understanding someone else’s perspective? How do you make sure other people hear your ideas? How can we support each other in having our voices heard? What do you know about geology? What do you want to learn? Finding Confidence and Support Systems: Katie L.
Persistence, self-confidence – even during struggles -, and learning to both find and be a support system. These are key elements of success and strong themes in Katie’s story. Katie L. is a junior, studying Electrical and Computer Engineering with a minor in Math. She’s been exploring engineering for a long time, starting with the help of her sixth-grade science teacher. His encouragement was really inspiring to Katie. With her curiosity sparked and an idea in mind, she decided to participate in a science fair. Looking back, she says she could have found the answer to her question with a little online research, but she loved exploring whether or not “different size batteries (AA, AAA, C, D, and 9 volt) affect the brightness of a lightbulb” on her own. The hands-on project helped her gain experience and discover her passion. Before she tried working with electricity, she hadn’t considered engineering. She had planned on being an artist or florist. She says that growing up she’d had “a bunch of puppets…each with a different job” like “police officer, firefighter, nurse, etc. and the only women represented were the nurse and teacher” so she thought those careers, were her only options. I love this story, because it reminds me how important it is to show examples of women in STEM fields, as well as the power of an encouraging role model. Not only has she found people who inspire her, but now she’s also a role model for other students. She loves “talking to female ECE underclassmen, talking to grade school girls, everybody about engineering and my work because I know I can be a role model.” She’s also the only female Electrical and Computer Engineering major in the class of 2019. She says she feels proud of herself for staying in as the only woman and “doing awesome things.” Additionally, she takes the opportunities available to correct any gendered misconceptions on ability and encourage other young women. Despite the challenges, she’s glad she’s stayed involved with this subject because she’s had experiences that made her feel confident about herself. She shared this story about her high school experience, when her class did a review game to prepare for a certification test. In addition to showing her own strength and lifting others up, it’s also important to have a reliable support network. For Katie, a college club called Women in Computing (WinC) can be a space to vent, as well as stay grounded and remind herself of what her classmates are struggling with. As far as women have come in STEM, there’s a long way to go and this is a great environment to meet other female STEM majors and find inspiration. Despite the fact that Katie is the only woman in her class, she’s excited that “as of last spring, there was a woman as the head of every engineering department except ECE.” She feels like progress is being made and that she has people supporting her. Katie also added that having a support network and friends who encourage her is important for her confidence and sense of belonging. Katie has done an amazing job of working hard to fight those feelings, while also helping others to do the same. Everyone can see how capable she is in her field, but sometimes it’s hard to remind yourself of your own skill. As an inspiring and accomplished engineering student, Katie is well on her way. She’s gotten this far by finding the strength and pride in her role, using her support networks, and advocating for herself while learning to battle any feelings of imposter syndrome. Her successes and mistakes have helped her to be confident and deepen her learning. Thanks for sharing your story, Katie! To learn more about engineering, check out our role model page and read letters from several types of engineers. How does that feel different than or similar to other people being proud of you? Who encourages and inspires you? Think of your favorite TV show, games or movies. What careers do you see women most represented in? What careers are missing? Making a Difference and Learning from Failure: Emily K.
Through a STEM Academy, Emily was able to explore engineering and discovered “that the ultimate goal of this career is to help people and society.” As a woman who cares deeply about other people, it’s not surprising that she fell in love with that pursuit. I love that she sees the beauty in Engineering and Architectural Studies and the potential to make a difference through these fields. Studies (including those by the Girl Scout Research Institute in their Generation STEM report) have shown that one of the main reasons women don’t pursue STEM fields is they prefer careers where they feel they’re helping people and connecting with people’s lives. Due to socialization, girls are often taught to be nurturing and to want to focus on social connections. There’s a false perception that engineers don’t touch others in the same way that other fields can. This isn’t true, though. Engineers impact everyone’s daily life and make the world so much better. Whether you’re examining harnessing renewable energy, noninvasive testing for diseases, automated wheelchairs, or even alarm clocks – engineers provide the tools we need to live our best lives. They do everything from saving our planet to making our Monday morning routine a little less painful. At the time, Emily felt embarrassed and as if people wouldn’t like her anymore. But she didn’t give up. She took that moment and worked hard to learn from her mistakes. She learned to slow down her speech and practiced speaking smoothly. Now, she’s an amazing presenter, and people admire her confidence and professionalism. Experiences like Emily’s are the scary moments that make us better. It takes strength to persist through challenges, but Emily says she’s motivated, knowing that she is “creating the life I want to live: one that promises fulfilling work and a goal of helping society,” as well as exceeding her own personal expectations. She also encourages women to be confident in themselves and prove that “you EARNED the job because you were the most qualified,” not because of a need to fill a quota. Thanks for sharing your story, Emily! To learn more about engineering, check out our role model page and read letters from several types of engineers. How do we learn from our mistakes in STEM fields? Look around you! Talk about a way engineering impacts your life. How does the media portray engineers and scientists? Is it accurate? The weather is warming up, and we’re so excited to take our adventures outside! Science is everywhere! • Have you heard of the Chalk Cliffs in Denmark? This beautiful nature reserve was created by glaciers pushing terrain upwards. There is so much you can learn about geology at this special site, as well as unique plants and 70 million year old fossils!!! It’s a great place to practice asking questions and making observations! • As Kayla wrote in her letter to Curiosity, “if you want to be a geologist, you’ve got to be prepared to get your hands dirty.” What are you doing in nature today? You can contact Erin at curiosity.erin@gmail.com or send a message through the Facebook page. Your involvement is welcome!